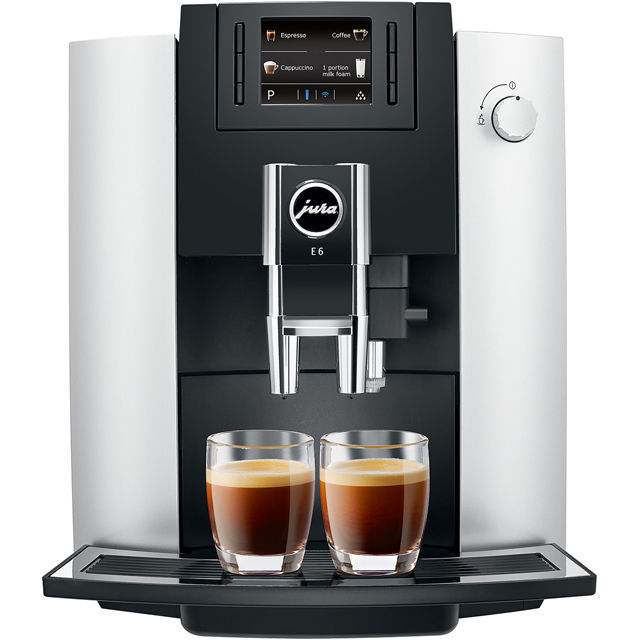 Experience the aromatic flavours of barista quality coffee at home with this bean to cup machine from De'Longhi. 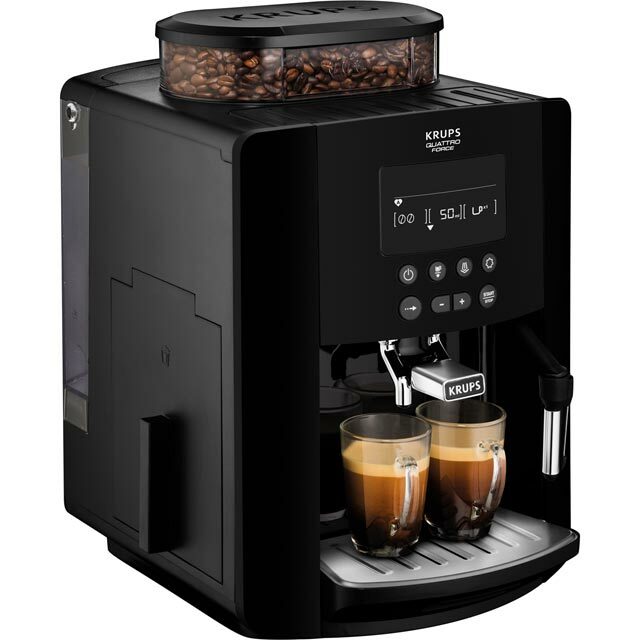 You’ll always have plenty of choice, as this model works with coffee beans as well as ground coffee. The memory function lets you save the settings for your favourite drinks too, so you can easily access them time after time. It also holds a generous 400g of coffee beans, which means you won’t need to refill them very often. 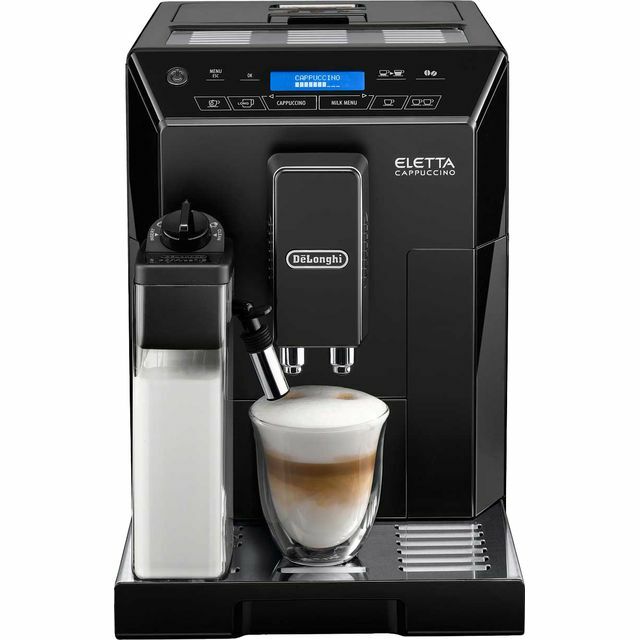 You can prepare incredible creamy drinks with ease too, as the LatteCrema System mixes the perfect amount of coffee and milk for indulgent frothy creations. Everything will be perfectly served too, as the cup warmer makes sure crockery is the ideal temperature for drinks. 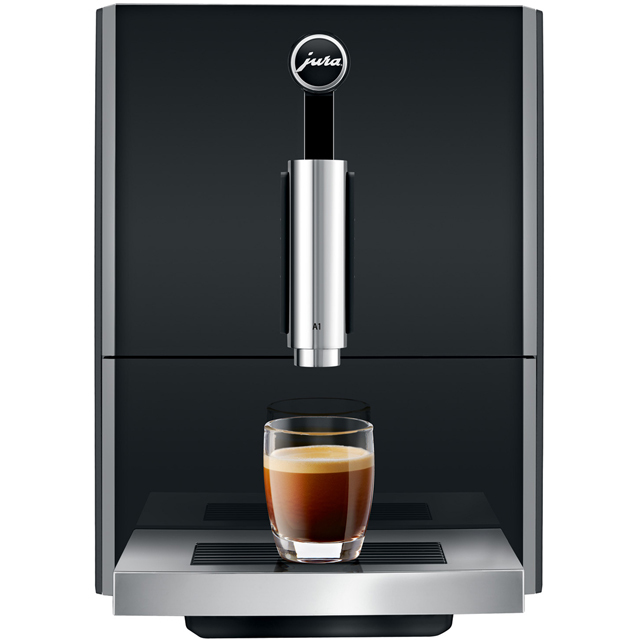 Save the settings for your favourite drinks on this coffee machine from De’Longhi. You can customise your drink to suit your personal taste – choosing the ideal temperature, strength and amount of water. Once it’s saved in the memory, it’s easy and quick to access the next time you need your favourite caffeine kick. Thanks to the integrated carafe on this De’Longhi coffee machine, you won’t need to manually froth your milk to make creamy lattes or foamy cappuccinos. This means there’s no waiting around, and you won’t need to perfect your technique to get great results. Simply fill up the tank, and enjoy perfectly steamed milk at the touch of a button. Very easy to use, pleasure to make coffee every morning, smells fresh coffee all kitchen. At first it was a little noisy but now got used to this, overall im very happy with purchase, no negative opinion. Superb quality product, very easy to set up and use, many different options that all make sense. Highly recommend. I’m still experimenting with the strengths and grind size of my coffees, but so far I’m really pleased I chose this particular machine. One slight niggle is that I can’t make a full mug of coffee, I have to top it up with extra water. My mugs are bigger than the max 180ml that the machine can be programmed to deliver. As long say that is really a small complaint, in all other aspects the machine is perfect for me. I have even started to use it to have hot milk on my cereal. I haven’t quite got the hang of making the perfect lattte yet, which I enjoy occasionally as a change from my usual black coffee, but in time I’ll get there. I can’t wait to get home from work now so I can have a fabulous cup of coffee. 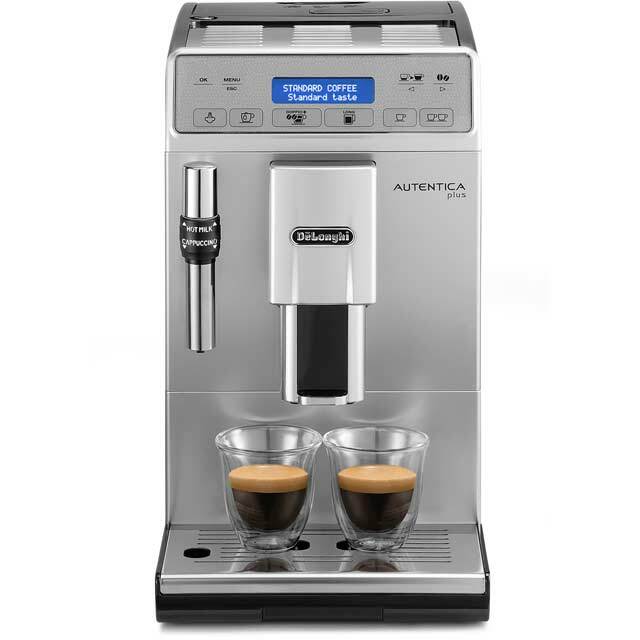 Ease of use by touch control.makes perfect coffee every time.super great milk frothier for cappuccinos.wouldnt want to be with out it.only negative shiny stainless steel base plate scratches. Easy to use and made a great birthday gift for a coffee lover! * ECAM44.660.B_BK was at the higher price between 01/02/2019 and 27/02/2019.